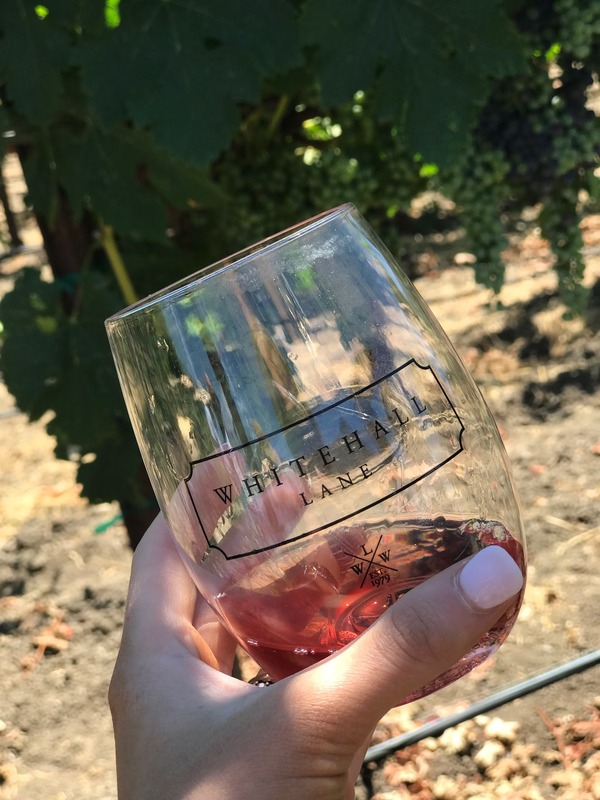 It’s been a week since we got back from Napa, California and I am a tad embarrassed, because we are already planning our next trip back. You know when you typically go on a vacation and you are super ready to be home by the last day? That was not the case for this trip, as we were extremely sad to leave. That said, I would encourage you to add Napa Valley to your bucket list, if you have not been. I can almost guarantee it will take your breath away, like it did ours! 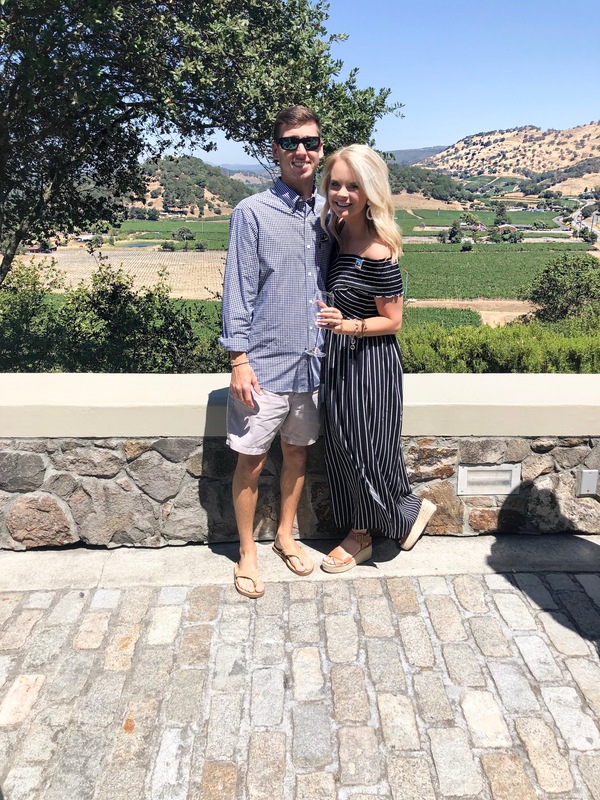 So the reason we even ended up in Napa for our summer vacation, was because our friends, Madisen & Chase, were getting married in a beautiful estate there. Needless to say, we decided we would turn their special event into our summer trip! 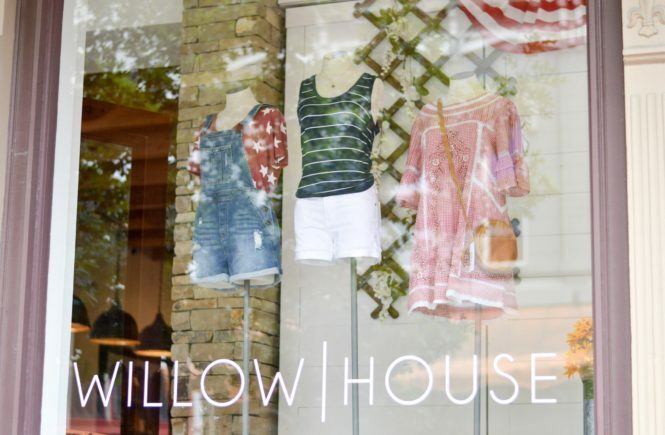 If you’re interested in what we did, where we ate & where we stayed… continue reading. I am going to break it all down for you! We flew into San Jose Airport, as flights were less expensive than San Francisco, and there was only a 30 minute travel distance. 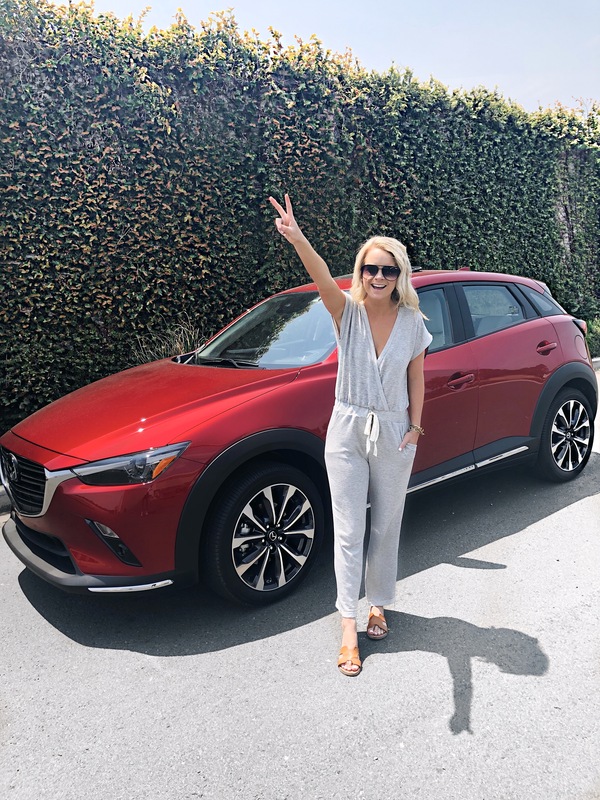 From there, we picked up our cute Mazda car for the weekend. You have to drive about an hour & a half to Napa, so a car is definitely a necessity & costs about the same as an uber to and from the airport. Worth it! Austin & I arrived to California super early Thursday morning, so we decided to take advantage & eat lunch in San Francisco. 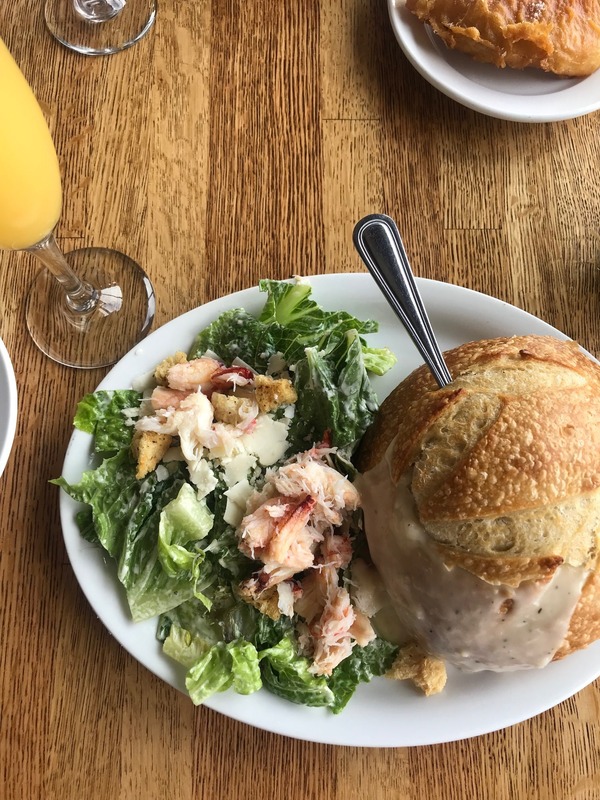 We ate at Pier Market on Pier 39 & devoured some seafood. I would highly recommend the clam chowder from Pier Market. It was delicious and warmed me up, as this Texas girl was not used to the cold in July. LOL. Yes, San Fran is quite chilly in July, so be sure you’re prepared with a jacket & pants! From lunch, we stopped at the Golden Gate Bridge. I had never been to California, so figured we should check this off my bucket list while we were at it. 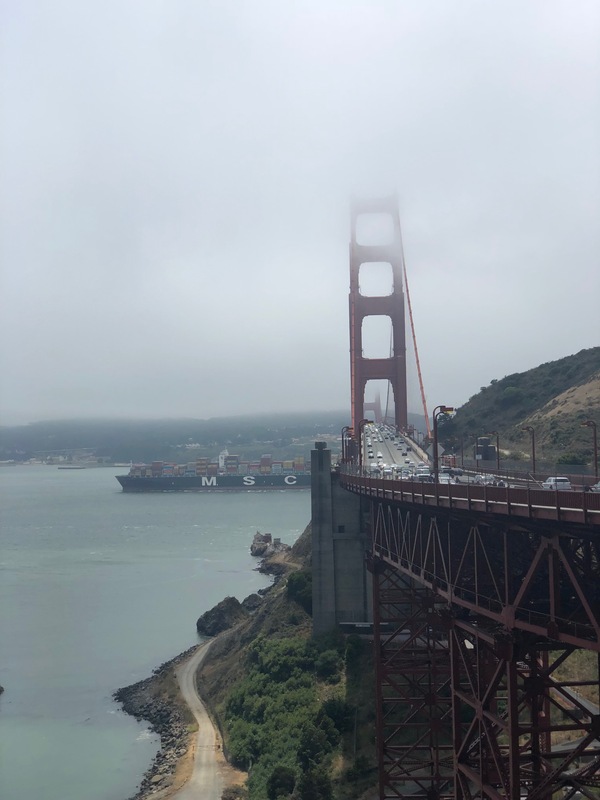 One of the routes to Napa was taking the Golden Gate Bridge across, so it was not out of the way & was worth it for the experience [& picture] with the hubs! 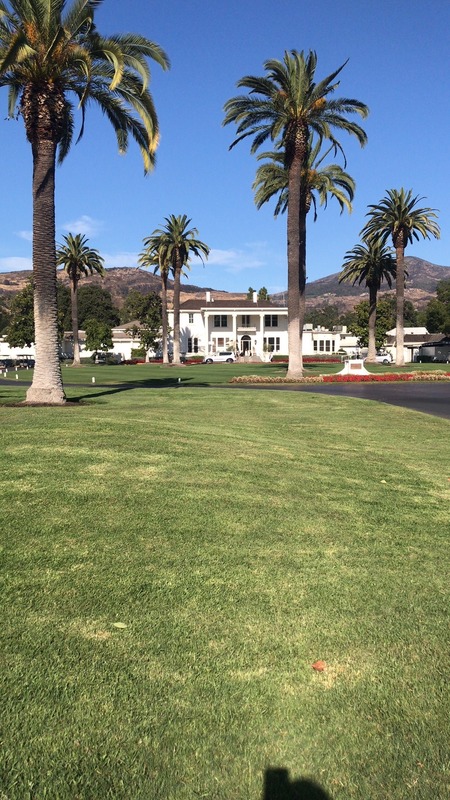 Now let’s get to the best part… Napa! 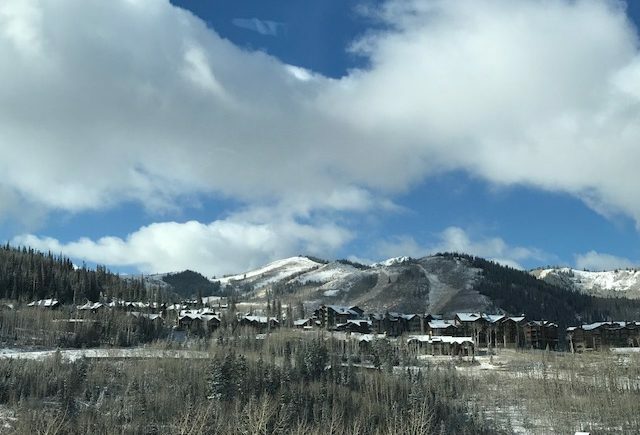 Silverado Resort & Spa- it was a dream! As you can see from the picture, they have a mansion type house where you check in. Then there are little condos/rooms all around the resort & golf course where guests actually stay. You can eat at The Grill on the golf course or get a snack & some wine from The Market at the front entrance of the resort. The rooms were super clean, staff was beyond friendly & accommodating, & we felt right at home. 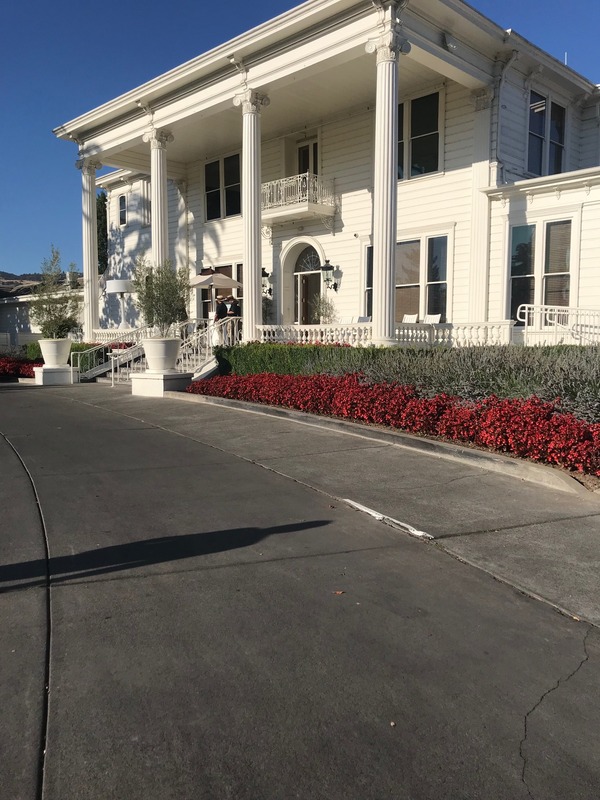 The resort is only 10 minutes from Downtown Napa, so it’s in the perfect location! 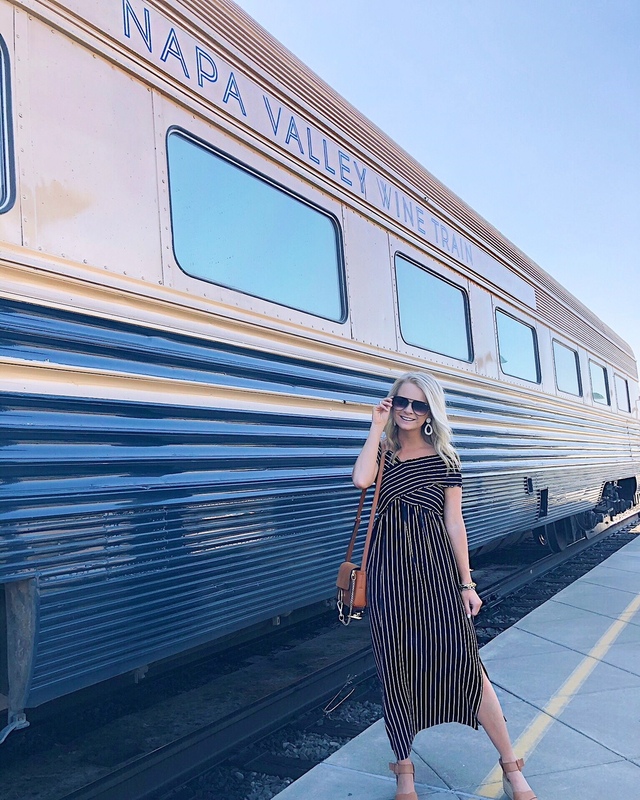 Napa Valley Wine Train- if it is your first time to the valley, I would 110% recommend taking the train for your first time to the wineries. They have different routes you can choose from, so I would recommend doing your research and picking whichever suits your wine palette best. We did The Famiglia Tour, which started at 11am and we arrived back at the train station around 4pm. We were greeted with breakfast, because let’s be real- you need to eat before you start drinking wine at 11am. LOL! We stopped at Silverado Vineyard, Whitehall Lane & Grgich. Silverado being our favorite view & Whitehall having our favorite wine. Their cab is delicious… we even brought two bottles home! Between each stop you get back on the train & are greeted with salad/soup & then the main course. I had the salmon & it makes my mouth water thinking about it! The train ended up being the perfect fit for us, as it was a safe ride to and from the vineyards, & gave us an idea of how all the wineries worked/ where they are located. 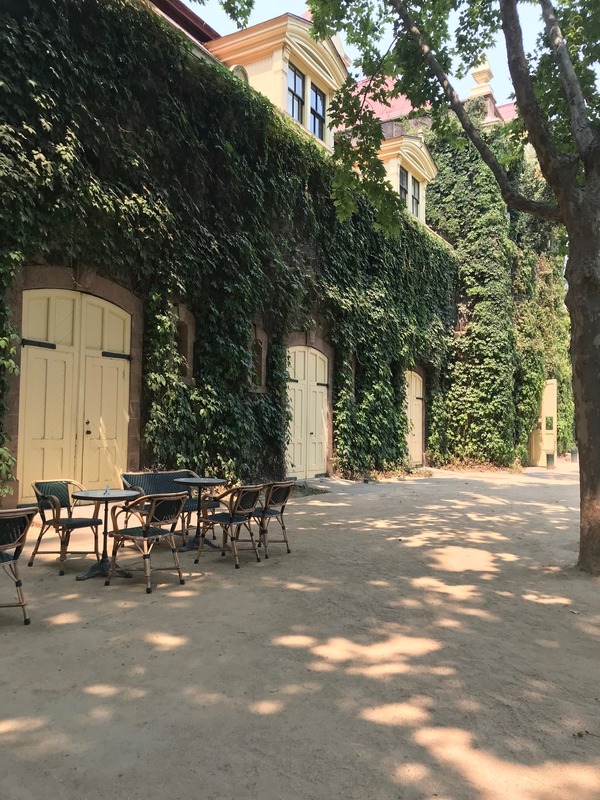 Inglenook- we stopped at this winery Saturday morning & it ended up being my favorite the entire trip. The view was gorgeous & made us feel like we were in Europe. We have already said we are going to sign up for a tasting when we go back! 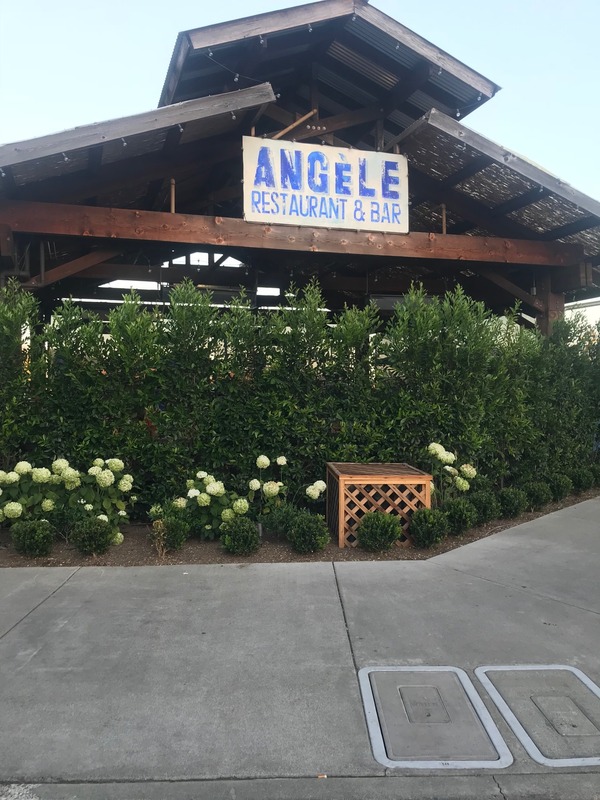 Angele- we ate here for dinner Thursday night & it did not disappoint! Austin said it was the best steak he had ever ate, and that’s saying a lot for a Texas boy like himself. Angele is a little pricier, so make sure to budget accordingly. Oh & be sure to order the fried deviled eggs. They are amazing! Napa Valley Bistro- this was our dinner choice Friday night. I was craving a burger, so I had the lamb burger. It was extremely filling & good, & this restaurant actually had ranch. Which is something a lot of restaurants don’t carry, so I was super happy! 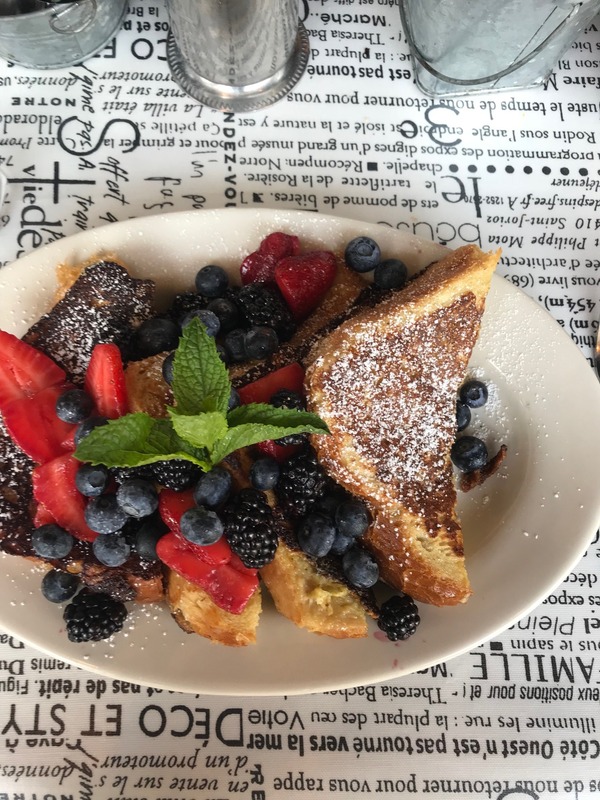 Alexis Baking Company- amazing breakfast/brunch spot. A ton of the locals actually recommended this restaurant & we were so glad we went! I had the french toast & it was delightful! Prices are also very reasonable here, which is a plus, because Napa is pretty pricey. All in all, it was the best trip. The weather was perfect & I think when we go back we will go around the same time. 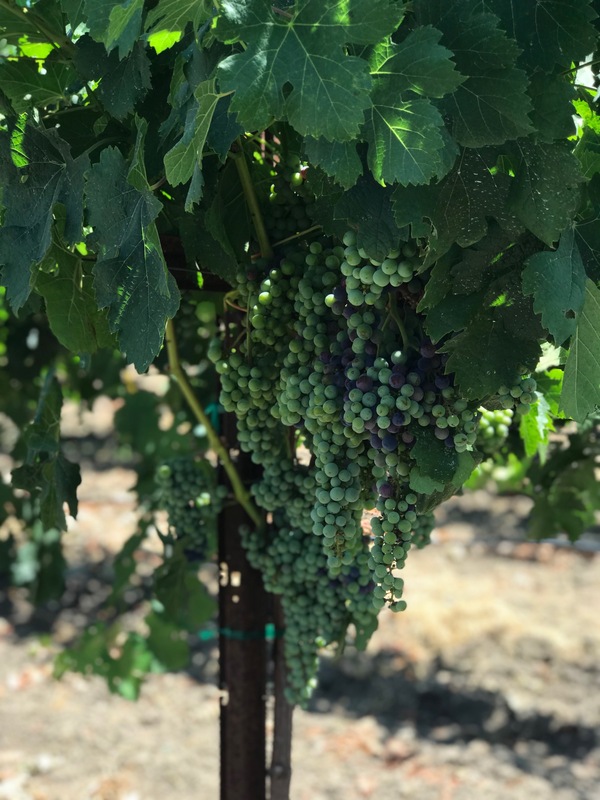 Since harvest happens in August, we were there when everything was at pretty much full bloom, so not only was it beautiful, we also got to taste a few grapes from the actual vines. Pretty stinkin’ cool! My love & appreciation grew for the wine industry, after seeing where it comes from & the hard work that goes into it all. Even if you are not a big wino, I still think any & everyone would enjoy. Going into the trip, Austin had to force a bottle of glass of wine down. Now he’s suggesting we order bottles of wine at dinner. This cab girl is not complaining! LOL. 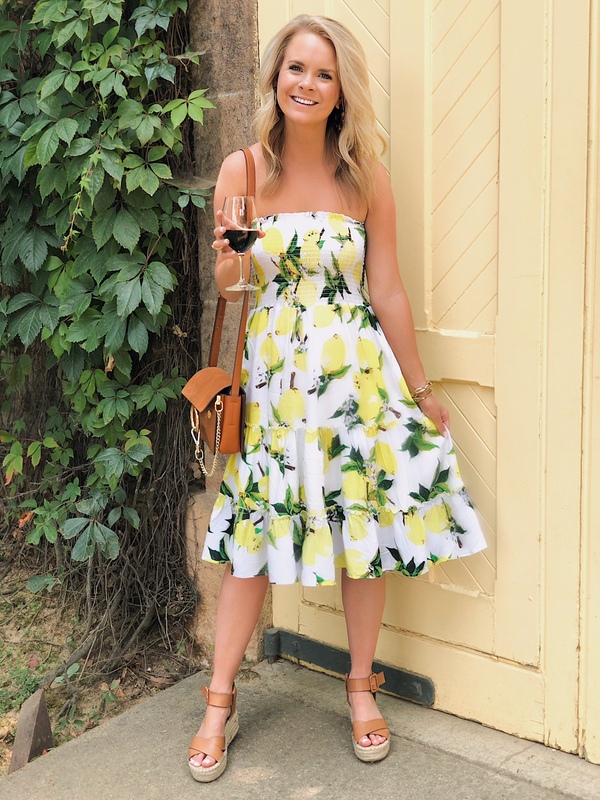 Have you been to Napa? If not, I hope this travel guide helps! Feel free to reach out with any questions… I am here to help! Thanks to the Silverado Resort & Spa & Napa Wine Train for this collaboration. All opinions are my own. Awh thanks girly! 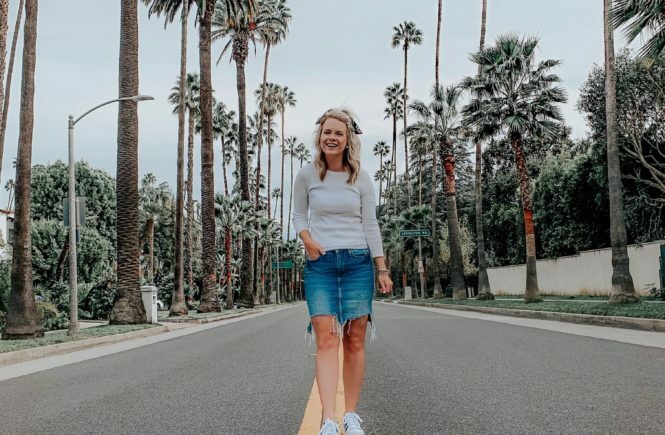 We fell in love with the town & cannot wait to go back! And yassss to Gott’s- it was delish!